You have stepped into a world where the focus is you. Sit back and relax at One 2 One Spa. Relax in a tranquil, calming atmosphereand enjoy a beautiful experience executed by knowledgeable estheticians, with thoughtful attention and sophisticated luxury. This is where intimacy and excellence meet forefront techniques and products to orchestrate a genuine moment just for you. Finally, you have found a spa experience that is all about you; welcome…to One 2 One Spa. If you need a deep cleanse, healing or revitalization – you have come to the right place. One 2 One Spa can take care of any facial treatment you desire, to draw out impurities, moisturize the skin, help heal acne scars or remove dead skin cells. Our Lip & Eye treatment will do away with puffy eyes and wrinkles. 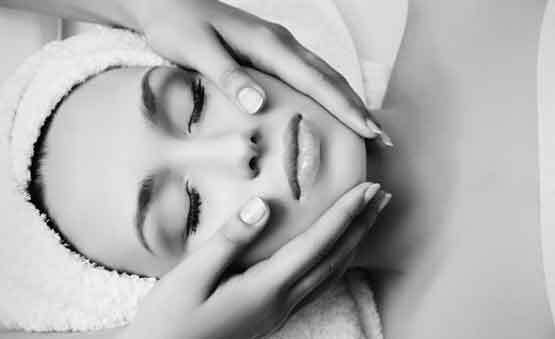 Experience the luxury of a Biologique Recherche facial treatment customized to your skin’s unique needs. The perfect weapon against problem-prone skin is One 2 One Spa Clarity Treatment. Working directly with the professionals at Valmont, which specializes in anti-aging, whatever your needs, there is a facial for you at One 2 One Spa. Looking your best is all about the details. For the absolute best in nail care, come in to One 2 One Spa. If you are looking for a simple, standard manicure, a classic French manicure, or some trendy nail art, One 2 One Spa is the place. Get the Queen of all Manicures with the Margaret Dabbs Medi-Manicure. Keep your nails in pristine condition for up to 3 weeks with our Bio Sculpture Gel Overlay. Enjoy a luxury manicure as part of your spa experience at One 2 One Spa where beauty is all about the details. Pair a pedicure with a manicure, make it part of your experience at One 2 One Spa, or enjoy a relaxing pedicure on its own. The Classic, the Margaret Dabbs, the No Chip and the Bio Sculpture Gel Pedicure will have your toes sparkling and looking their absolute best. For those warm summer days on the beach or those classy nights with open toed shoes, have your feet feeling fresh and looking fantastic with a Pedicure at One 2 One Spa. To finish off your new style, the stylists at One 2 One Studio can take your make-up game to a completely new level. Using top products from Kevyn Aucoin complete your journey with talented, passionate make-up artists. Whether you would like our stylists to apply the make-up in the salon, or provide a lesson on how to apply the make-up to complement your skin and face shape. Come to One 2 One Studio if you are want to look your absolute best on your big day and every day. Welcome to an oasis for your body and introducing a reprieve from the chaos of daily life at One 2 One Spa. Our Massage Therapy and Body Treatments will help you refresh and recharge. From our simple Relaxing Massage, the Mom-to-Be Massage or the Deep Tissue Massage, there is a massage for everyone at One 2 One Spa. Our Body Treatments, along with our trusted products, will help reduce cellulite, eliminate dead skin cells, moisturize and revitalize your skin. With both our Massage Therapy and Body Treatments, you can choose the length and intensity of your session. To get rid of unwanted hair look no further than One 2 One Spa’s waxing treatments. To smooth out problem areas, One 2 One Spa can take care of unwelcome hair along your brow, lip, ears, chin, cheeks, hairline, underarm, or full-arms package. These treatments can be done to ensure that you are ready for any occasion and feeling confident. © 2012-2019 One-One Studio. All Rights Reserved.